There’s too much in this world to enjoy to just sit at home and do nothing all the time. There are many people all over who travel for a living. Not because they work a travel agency or some company wants them to write stories but they travel on their own for their own personal experience. Some of the people I’m about to introduce you to are those that do this and get paid very well for what they share with the world. Many of those who are tethered to their jobs live vicariously through these people just to see all the fun they get to do. So I’m going to teach you that as an entrepreneur you should always been exploring, learning, and seeing the world for what it really is; a place to make your own with your own rules and to go anywhere as long as you know how to make it on your own anywhere you go. The first is Fun with Louis and his YouTube channel has brought him a lot of fame and fortune, with close to a million subscribes on his channel, he makes daily videos of his life all around the world. He travels everywhere and sees the world for what it really is, one big playground with billions of people to meet. You can take a look at a video he made that shows a few of the places he has been. If you want to see his more recent places just look for the most recent video under the Videos tab. Makes you wish you could go and do that doesn’t it? You can read more about his life in this Yahoo Article and watch a video about his life. What he has done for himself is create a fund so that he can travel more. People can donate and if they want to talk with him over the phone he kindly asks for you to donate 5 to 10 dollars which is cheap for all the advice he can offer. Then there are those that work for a long time and just want a change in pace, I’ve posted this video before but to make the point, if you’re an adult with no tie downs then you can go and do whatever you want. This guy quit his job and took pictures everywhere he went and then turned it into a viral video online. You can visit his website to learn how he turned a passion into a way of living. You might be wondering how it’s possible to get started on such a trip around the world I have included some links below that will take you to some great places that will introduce you to people all over who are looking to meet others from different countries or places. Some of them are free and others carry a price but it all depends on your people skills how well you can negotiate a rate. If you can not afford the luxury stays of high-end hotels then why not stay on someone’s couch, maybe even for free? Some people let you use their couch if you are passing through and others ask that you just pay for your meals or pay a fee and allowed certain amenities. This program lets people rent out their living room couch to anyone that needs a cheap place to stay for the night. The best part is they get to meet the locals and learn more about the place they are staying in. You can build your profile and get marks for how well of a traveler you are and even rate the host who let you stayed. So whether you want to travel more or meet people who are traveling through your city this is just another way of exploring the world around you. This site helps you find what it is you are looking for in this world, whether you want to go on an adventure or whether you want to visit certain countries on the cheap you can find many resources available here all in one place. You can even talk with other people about their current travels and what they are experiencing or experienced on another trip. The name is exactly what it means. If you want to see the world, then get out and travel. The standard way that most people think you need to travel is by saving up lots of money from a job you hate and then waiting for your vacation period to start before you get to go out and do something. With the many resources the internet provides you can find many people around the world who will let you stay with them on the cheap and just worry about food expenses and free entertainment. This site provides tons of advice and resources about how to get out and enjoy the world. You can find places that people have put up online for anyone to stay at. Many of them are very cheap and nice and others are very expensive and posh. It all depends on where you want to go and how long you want to stay. The nice thing about the site is that you can find places within the city or rural parts depending on your interests and rooms available. It’s a nice way of meeting the locals versus staying in a nice hotel where the only connection to local customs is through the front office desk. If you need more inspiration about getting out there and traveling then read this guy’s website, Nomadic Matt as he fills you in on how he did it all. You can also check out all his blog posts. For many people it just takes one trip some place great and they get the traveling bug. Many kids, teens, and adults get hooked on traveling and once you learn the fine art of traveling it all becomes second nature and you make friends all over the world that it begins to feel like a smaller place. Even if the trip is just for the day go out and explore all that is around you and who knows you might fine an idea that is amazing in one country that you can turn into a full-scale company back home, which many entrepreneurs have done before. They found something that solved a problem where they lived. This entry was posted in Travel and tagged airbnb, catch the traveling bug, couch surfer, couch surfing, Derek Earl Baron, entrepreneur, entrepreneurs explore, explore the world, fin harries, finn harries, fun with louis, funwithlouis, get out and travel, go on an adventure, jack harries, jacksgap, join the adventure, Kien Lam, lonely planet, Louis Cole, meet people all around the world, nomadic matt, stay with airbnb, take a day trip, travel around the world in 5 minutes, travel for cheap, travel like an entrepreneur, travel with airbnb, traveling across ibiza, traveling bug, troye sivan, tyler oakley, wandering earl on August 14, 2014 by Chris. Have you applied for your ticket to Mars yet? This idea might seem far fetched but it was proposed, along with an open-cattle call more than a year ago, to send a group of people to mars to live there permanently. Anyone 18 years or older would be able to submit their application for review knowing full well that if they were chosen for the mission that they would not be returning to earth. Thanks to movies like 2001: A Space Odyssey, Star Wars, and Star Trek humans have entertained the idea of what it would be like to travel through space and meet new species. Just the idea of leaving earth and visiting planets within our solar system has been an impossible task just because of financial and natural reasons. The only reason why the Star Trek universe works is because their way of life is different from the one we have today, granted of course they are still hundreds of years away from our present day, there is still a chance mankind might evolve into a community were money is no longer a thing and people only work to better themselves. That is why money doesn’t exist in the Star Trek Worlds and they are able to advance themselves so much faster. Traveling from planet to planet is a difficult task because of fuel, energy, and life support systems, all of which cost money. Humans need food in order to live and without it, they die so traveling from just Earth to Jupiter alone would be a major undertaking just in terms of fuel, food, and oxygen which have to be stored somewhere requiring majority of the ship to be used as a storage unit. The satellites that have already left our solar system work because they don’t require any of that extra weight, they function off of solar energy and can work non-stop. Money does exist for us and because it is one of our greatest limiting factors we have placed on ourselves we must work within the confines that it produces. In order to get a mission like this off the ground, lots of training, resources, and support will be needed to launch this program successfully. The chance of it going through is very low because at any point funding could drop out and the company managing the operation, Mars One, would be left with a very large bill. Their hope is that with publicity and enough support they will be able to get the funding they need in order to launch the 40 or so people they will select and train in order to go live on Mars. Mars One estimates this project to be around $6 billion, a price that was determined more than a year or so ago, in which time of course, that price has probably gone way up since then. The planed settlement date is set for 2023 with a second mission planned for 2025, with various other unmanned supply missions landing before and throughout those periods. The Application process has been closed since they have received enough to go through to determine who will be allowed to go. They did set limits as to who would be allowed to go since they can not send just anyone. In order for someone to meet eligibility requirements they must be mentally fit, able to get along with others regardless of conditions, physically fit, able to understand basic survival skills, and of course, not claustrophobic. Another one they have limited the program to is only for single individuals, no one in relationships or even couples for that matter are allowed into the program. The stress of being in a relationship of that matter would cause someone to lose focus of the mission and when it all comes down to it, even though money no longer counts over there, at least for the time being, it is still a job that all the applicants are fulfilling. They will be carrying out small projects, missions for companies, and their own personal projects. One of the biggest issues they will need to handle though is death. They will need to learn how to handle that and how to manage disease. Even though this program was announced more than a year ago, the idea has not faded and if enough support comes through, travel to Mars will no longer be something we see in movies, but an alternative living arrangement that, for a while until costs drop, only the rich will be able to consider. The people who are picked for the first mission will not have to foot the bill for anything, except the $38 dollars needed for the application fee. So whether or not you think sending a group of people over to Mars to colonize it is a good idea, you can at least follow them along from the comfort of your home to watch what happens. To Learn more about project, check out the links below. This entry was posted in Science, Technology, Travel and tagged aplication for mars one, applicants for mars mission, apply for mission to mars, apply to live on mars, barren red desert landscape, Bas Lansdorp, build a colony on mars, Community Mars One, go live on mars, Grant Anderson, join the community mars one, mars 1, mars colonization, mars mission 2020, Mars One, mars travel, mission to mars, moon travel, one-way ticket to mars, Paragon Space Development Corporation, red planet, SpaceX, total recall mars mission, travel to mars, want to live on mars, want to travel to mars, what is mission to mars program, will mars be colonized, will people live on mars? on July 9, 2014 by Chris. 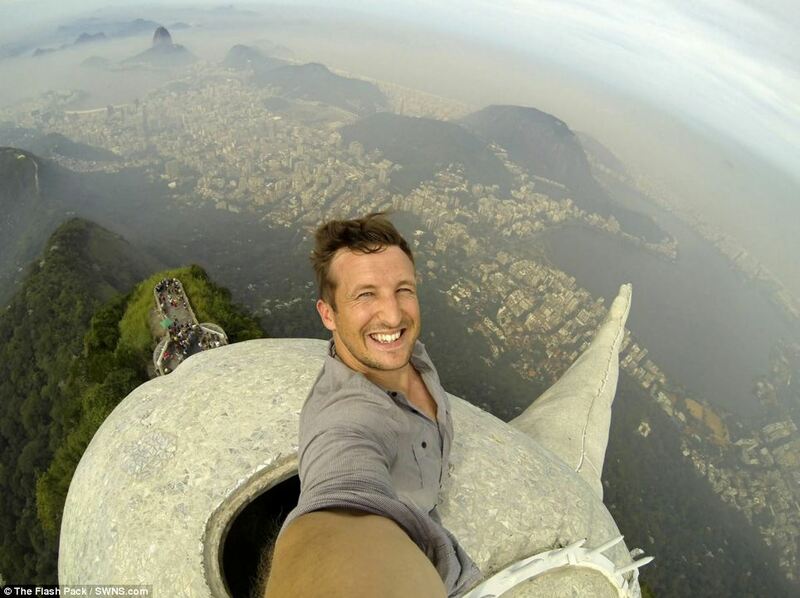 A guy by the name of Lee Thompson was able to convince the tourist department of Brazil to let him scale the statue of Christ the Redeemer in order to capture one of the most amazing selfies ever. He went up on top, and took several different photos before coming back down. His photos have since been seen million times over. So the question becomes, if your life is not an adventure, when does it become one? Go out and explore and go on adventure. If you have no tie downs, use your weekends to take mini trips. Check travel sites for last minute book deals that you can snag for less than a hundred bucks. 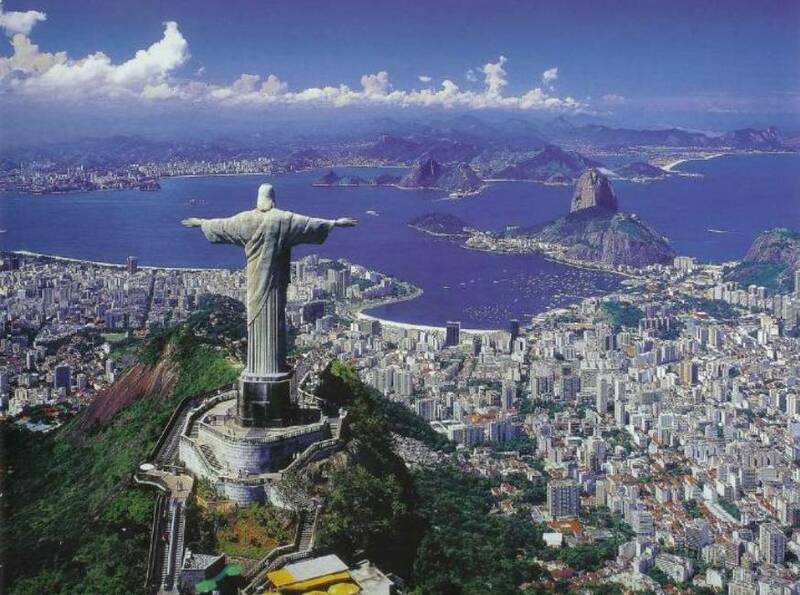 This entry was posted in Travel and tagged amazing selfies, amaznig selfies, best selfies ever, best selfies in the world, cool selfie, epic selfies, explore the world, go on an adventure, have fun in life, lee thompson, lee thompson selfie, photo on top of christ the redeemer, selfie christ the redeemer, take amazing selfies, take epic selfies, travel, travel more on July 8, 2014 by Chris.